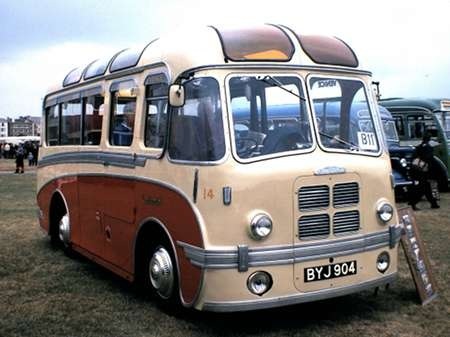 BYJ 904 is an Austin K8CVC with Plaxton C14F bodywork, dating from 1952. She was new to Dickson and is seen here on Southsea Common for the rally on 11 June 1995. According to the PSVC list for 2012, she has emigrated to the Netherlands as BE-67-57.